Spring is getting ready for her annual knockout performance in Paris. During last weekend's dress rehearsal, she reminded us why songs have been written about her charm and warm embrace. 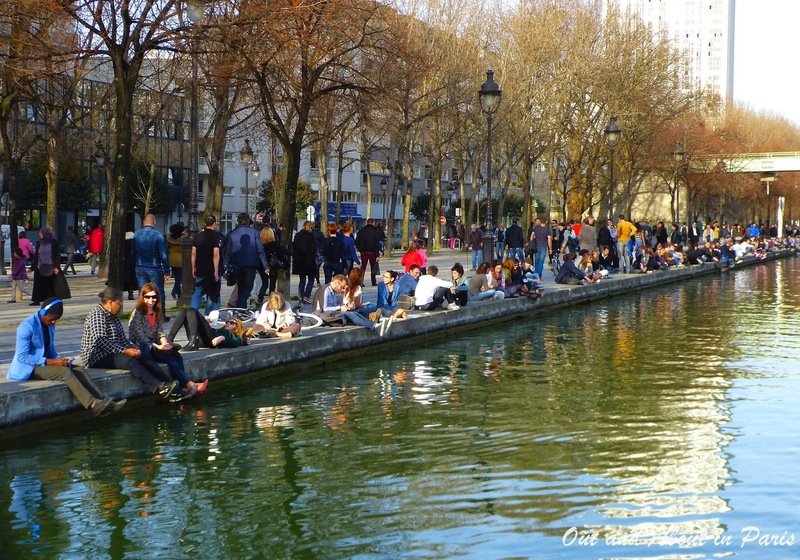 Hipsters with picnics, books and assorted electronic devices lined the Canal Saint-Martin and the Bassin de la Villette. Others Parisians focused their full attention on a tiny orange ball, the "piglet", while playing convivial games of pétanque with their friends. Saturday and Sunday were a glorious promise of what's yet to come. To celebrate spring's early arrival, Stéphane and I decided to do something that we had tried and failed to do last summer. Despite our tenacity, we hadn't been able to reserve an electric self-drive boat from Marin d'Eau Douce. This popular new initiative in sustainable tourism, which had received a lot of French press last spring, was so overwhelmed by enthusiastic customers wanting to cruise the Bassin de la Villette and Canal de l’Ourcq that it was necessary to book one of their 15 electric boats weeks in advance. Thinking that we would have a better chance of securing a boat at the beginning of March than in the middle of July, Stéphane clicked on the "Réservez ici" button early Sunday morning. Lots of other people must have had the same idea because the only remaining slot was from 5:30 to 6:30 pm. We decided to jump on the opportunity even though we wouldn't be able to cover much of the 40 kilometers (25 miles) of navigable waterways in 60 minutes. We arrived at the Bassin de la Villette around 4:50 pm, which gave us plenty of time to complete the paperwork, pay the security deposit and sip a glass of rosé at the marina café. After a short briefing about how to operate the electric boat, Captain Stéphane and I were underway. 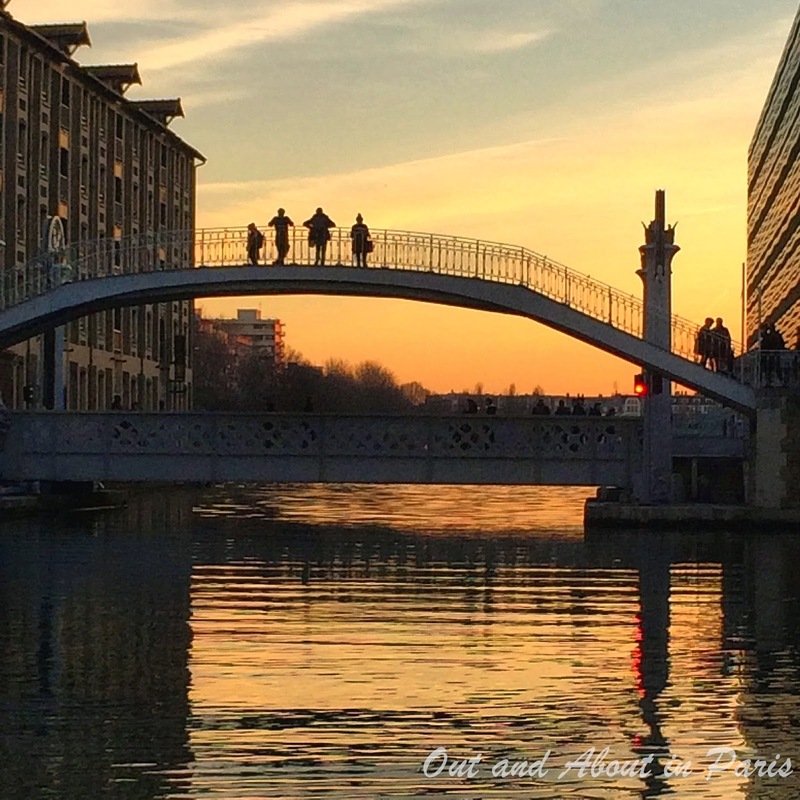 Leaving the bohemian charms of the Bassin de la Villette, Stéphane navigated our boat under the Pont de Crimée, the oldest hydraulic lift bridge in Paris. Suddenly, the landscape changed. 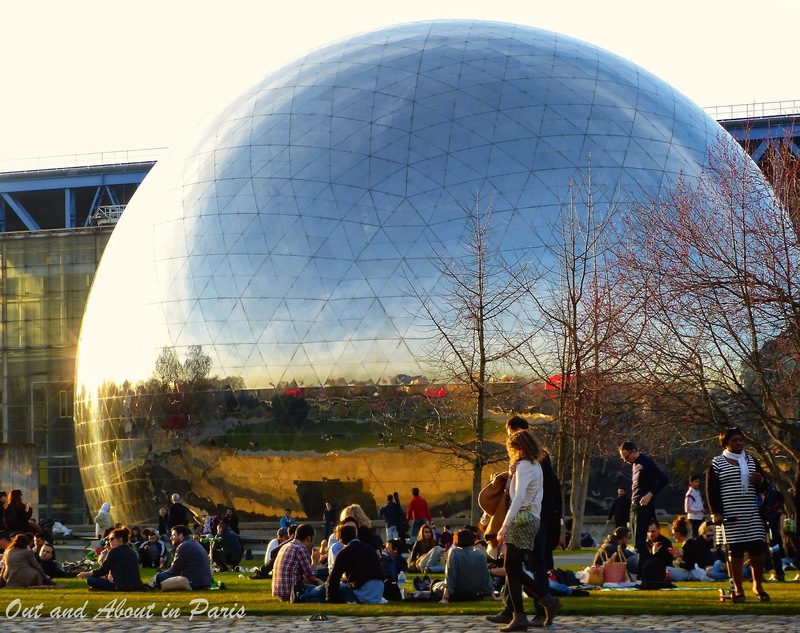 We were in the futuristic Parc de la Villette with its geodesic dome, raised walkways and the largest science museum in Europe, the Cité des sciences et de l’industrie. As we had extended our boat rental to 90 minutes, we were able to cruise along the Canal de l’Ourcq until we saw the Grands Moulins de Pantin in the distance. The recently restored industrial flour mills were our signal to turn around. Next time, Stéphane and I are going to rent a boat for at least half a day. There's still a lot that we want to see! 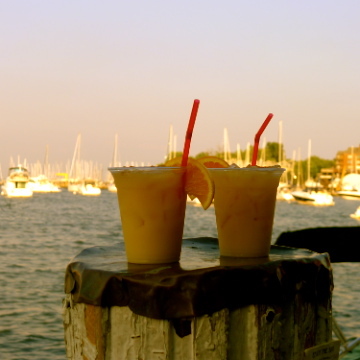 Practical tips: If you would like to rent a boat during the weekend, reserve in advance. The good news for tourists is that boats are more readily available during the week. The bad news is that the website for Marin d'Eau Douce is only in French. I hope that will change soon. 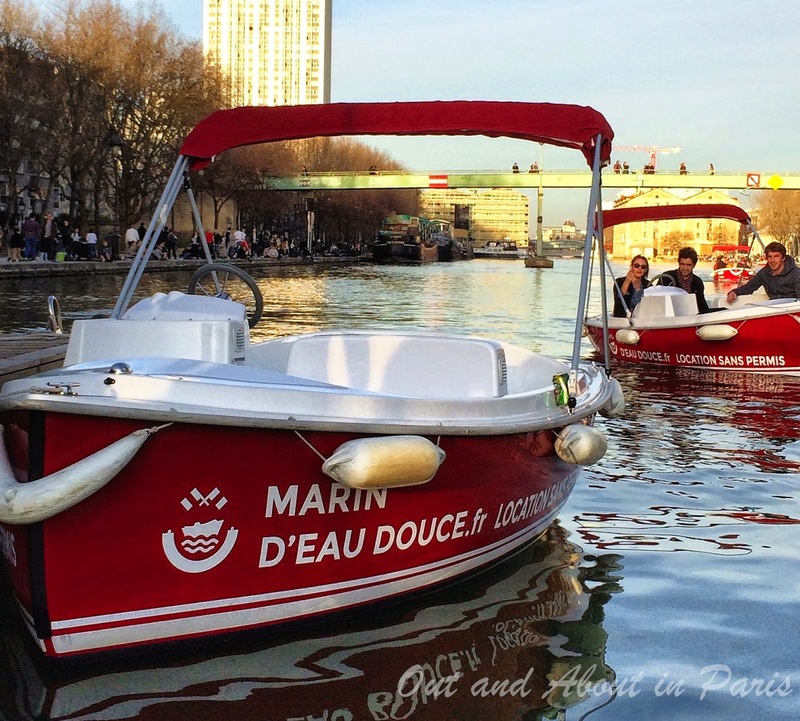 Marin d'Eau Douce offers three different sizes of boats. You do not need a license to drive them. The largest can accommodate a group of 11 people. So, invite some friends, pack a picnic and discover a part of Paris that you may not have visited yet. The rental rate for the five person boat L'Ace is 40 euros per hour. For an additional fee, you can add a bottle of champagne, an aperitif or anniversary basket, or even pétanque balls. Admiring the sunset while waiting for the Pont de Crimée, the oldest the oldest hydraulic lift bridge in Paris, to be raised. Wow, I love this. I wouldn't want to return the boat; then of course, the charge may expire and I would require a rescue. I might enjoy that too.